What typically happens after a regime loses the consent of the governed? is a question those in power should be asking themselves right about now. State parks and beaches were closed over the long 4th of July holiday weekend in New Jersey and Maine because both states have been put into emergency shutdown mode by their governors. 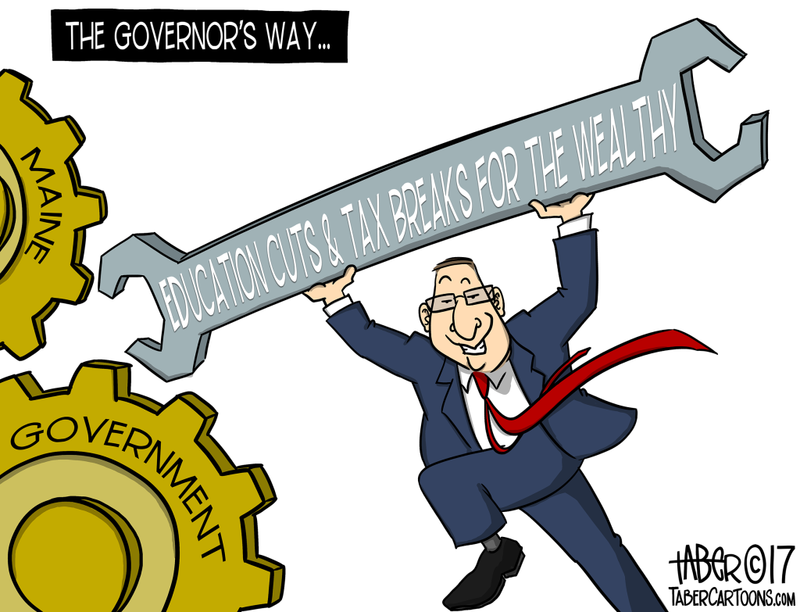 A budget impasse in Maine foundered on the unlikely rocks of education spending as a referendum vote last November raised taxes on the wealthy to directly benefit K-12 schools, a measure the legislature hasn't been able to enact. 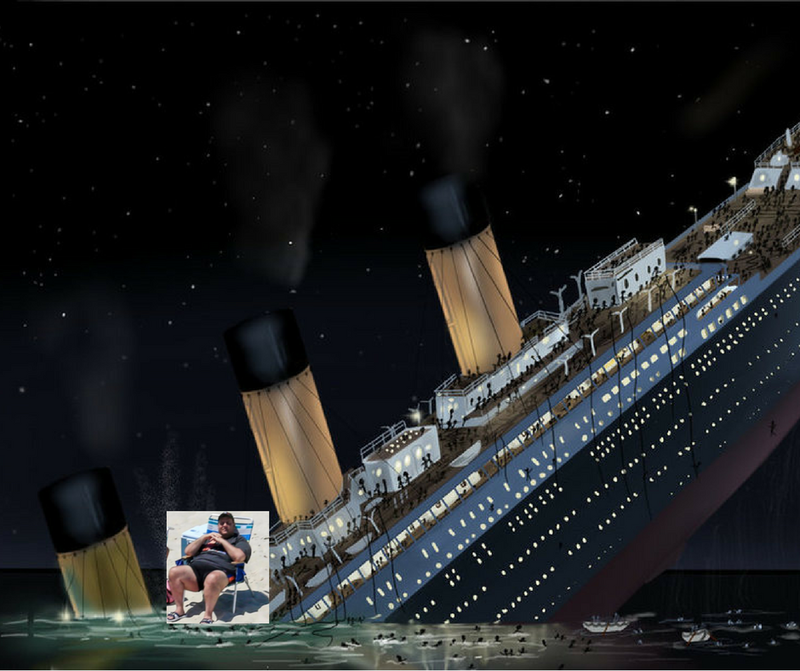 So my fat cat governor gleefully shut down most state services (except law enforcement -- draw your own conclusions). It was a relatively cool weekend and I'm sure people found somewhere outdoors to go in Vacationland. New Jersey on the other hand, wow. 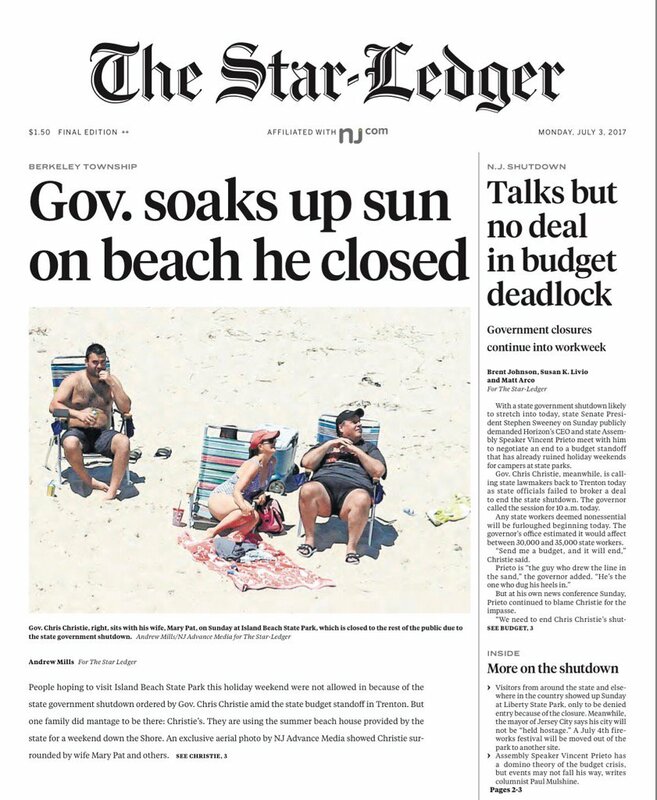 In an epic display of heartless entitlement, their fat cat governor shut down state beaches while temperatures and humidity soared. Then, defying reason, he and his own family basked on a fabulously deserted state beach. And lied about it when photos surfaced. Then gave a bunch of boorish "let them eat cake" excuses when caught in the lie, including "they're not governor" as the reason why taxpayers couldn't bring their families to the state beach. And then came the memes. 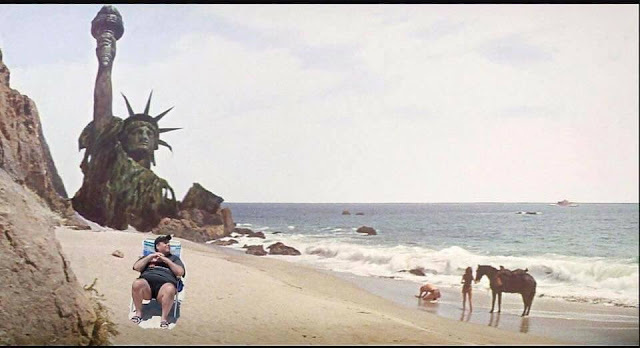 This one is based on the final scene from the disaster movie Planet of the Apes. 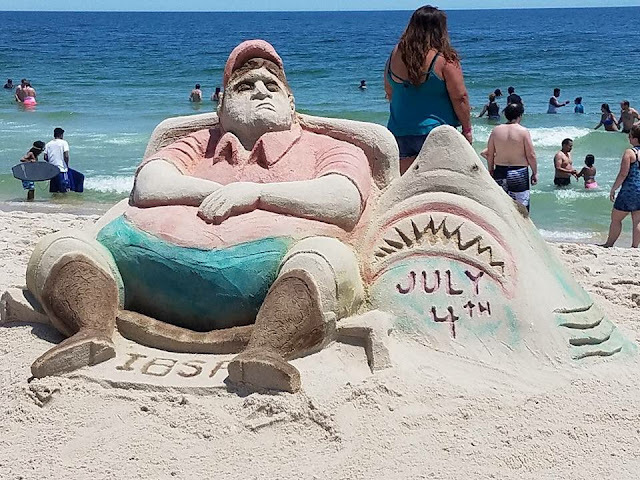 Both governors strongly resemble the corpulent couch potatoes in dystopian future flick Wall-E.
Maine's governor and New Jersey's governor could be mistaken for each other. They're both large guys with jowly faces who sometime vie with one another to see who can make the crudest, stupidest public statements. They are the face -- and belly -- of kleptocracy. In government by thieves, they steal on behalf of millionaire and billionaires, and feather their own nests in the process. It's their job to use corporate media to spread thin justifications for kleptocracy. Not much of anybody even pretends to believe these words except the people who utter them. Today America celebrates its liberation from the shackles of the British Crown and the beginning of its transition into corporatist oligarchy, which is a lot like celebrating your lateral promotion from housekeeping to laundry staff. 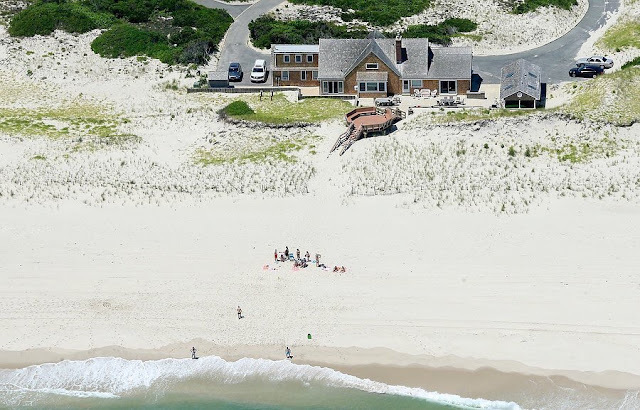 Fireworks will be set off, hot dogs will be consumed, and a strange yellow concoction known as Mountain Dew will be imbibed by patriotic high-fiving Yankees eager to celebrate their hard-fought freedom to funnel their taxes into corporate welfare instead of to the King. This made sense to me because lately I've been wondering if anybody studies history any more. Don't governors who mock constituents by flaunting their own privilege worry about what happens when the mob turns on them? Maybe they're aware of the threat but they think heavily militarized law enforcement can protect them. Because police repression is so effective against sharks. Right?